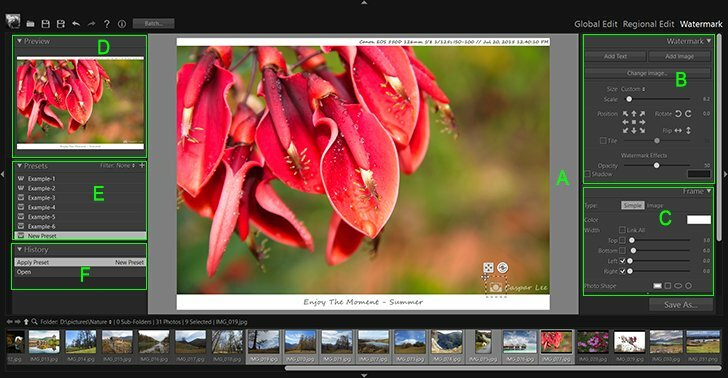 Watermark Module Overview - User Guide of PT Photo Editor - Easily rescue problem photos. Make every shot its best. The Watermark options panel lets you add text and image watermarks on the picture and customize the frame style their size, position and effects. The Frame options panel is used to add frame on the picture and customize its style. The Preview panel displays the layout of a preset with a thumbnail preview. When a preset is selected, a preview is displayed in the Preview panel. 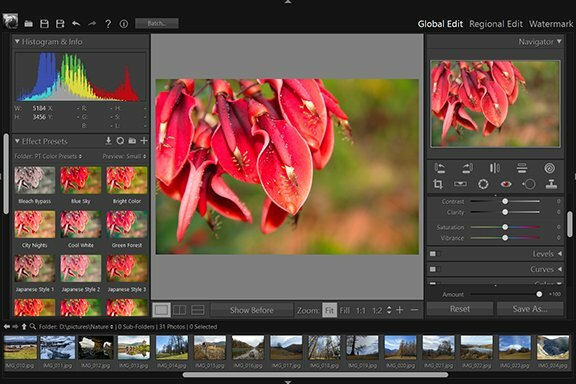 The Presets panel lets you save watermark and frame settings as templates and apply them to other images quickly.